Below is a list of suggested reading to help you expand your knowledge of the conference themes. None of the reading is required. 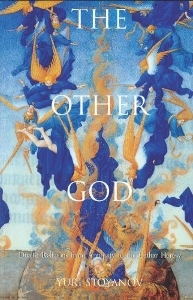 In this collection of essays, Bamford, director of Lindisfarne Books, explores Sophia, or divine feminine wisdom, as expressed throughout the Hermetic or esoteric tradition in Christianity, and in the profound insights of many great Western thinkers and poets, and potentially in each of us as we learn to act like Wisdom herself, opening to receive what God gives. Bamford embraces a difficult subject with personal passion, rendering it with a poetry and incision that sincere readers will find deeply inspiring. Bamford describes the way feminine wisdom acts as the companion and helper to God, a kind of omnipresent cloud or mist that mirrors God’s creation. Creation, we learn, took place as a great sigh of compassion, as Sophia helped God become known by becoming incarnate in all that exists. “Sophia’s other name, revealed since the Mystery of Golgotha, is primordial cosmic human nature itself,” writes Bamford. 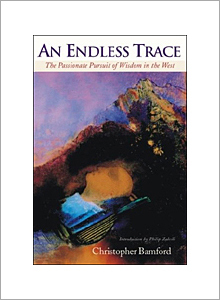 Bamford proceeds to give a thrilling glimpse of what it might mean to awaken to our original, pure nature, to become wise and to know the world and ourselves through the Incarnation. Ranging through Western tradition, from the ancient Hermetic tradition to the medieval troubadours to the Romantics, Bamford offers a jewel box full of gems about what it can mean to be compassionate and open-hearted, to be Sophia. 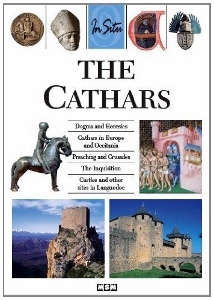 The book is about the persecuted Cathar faction in France in the 12th century. Many pictures of ruins, and illustrations from the times. Great description of the political and religious conflict. The inhabitants of the Languedoc had always relied for their safety upon a series of strongly fortified walled cities, such as Albi, Carcassonne, Toulouse and a large number of fortified hill-top villages and castles which dotted the countryside. 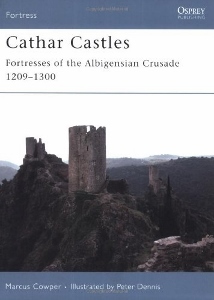 These so-called ‘Cathar Castles’ now became the last refuge against the invading crusaders and the conflict developed into a series of protracted and bloody sieges that lasted for over 30 years. The author describes these two very different types of fortification, the walled city and the hill-top castle. He explains why they were positioned where they were, how they were built, and the defensive principles behind their construction, and also reviews how well they withstood the test of the Albigensian Crusade. In the midst of our current drama between orthodox beliefs and new cultures, between liberal and conservative catechisms, Crimes of Perception collects the ideas, persons, and practices that, over the centuries, have been judged by the arbiters of religious orthodoxy to be too dangerous for people to know about. 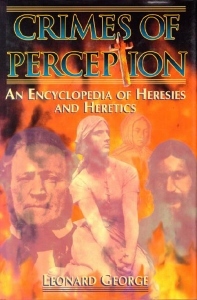 With more that 600 detailed entries, Leonard George unearths a mountain of information on the heretical tradition in the Western world from the time of Christ to the Twentieth century, describing the heretical traditions (including Gnosticism and Kabbalah), the heretics themselves (such as Aleister Crowly and Emanuel Swedenborg), heretical texts (De Principiss and Malleus Malleficarum), occult terms, the defenders of orthodoxy, religious sects, heretical phenomena, and much more. 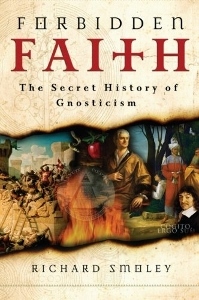 In Forbidden Faith, Richard Smoley narrates a popular history of one such truth, the ancient esoteric religion of Gnosticism, which flourished between the first and fourth centuries A.D., but whose legacy remains even today, having survived secretly throughout the ages. The main esoteric “schools” of religious and mystical theory and practice in Europe between the turn of the era and the Middle Ages are gnosticism, merkabah and catharism. 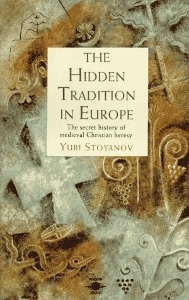 Stoyanov shows how these and other threads of European mysticism are in fact a single stream. The unifying factor is the Bogomils. This underrated and understudied sect – the name means “grace of God” – was introduced into Bulgaria by 3 shadowy figures, flourished there for 4 centuries, and then spread throughout Europe. In this unique collection of lecture material and writings from Rudolf Steiner, a new perspective emerges. 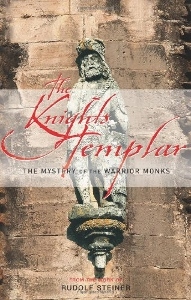 Based on his spiritual perceptions, Steiner speaks of the Templars’ connection to the esoteric tradition of St John, their relationship with the Holy Grail, and their spiritual dedication to Christ. He describes the secret order that existed within the Templars, and the strange rituals they performed. He also throws light on the Templars’ attitude to the Roman Church, and the spiritual forces that inspired their torture and confessions. This book presents the fascinating history behind the most famous military religious Order of the Crusades–the Knights Templar. 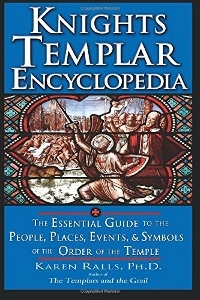 Written by leading Templar authority and medieval historian Dr. Karen Ralls, this sourcebook of hundreds of entries features a wealth of information on the key Templar people, places, events, symbols, organization, daily life, beliefs, economic empire, and trial. In this classic work, often described as “The History of the Rise, Decline, and Fall of the Love Affair,” Denis de Rougemont explores the psychology of love from the legend of Tristan and Isolde to Hollywood. At the heart of his ever-relevant inquiry is the inescapable conflict in the West between marriage and passion–the first associated with social and religious responsibility and the second with anarchic, unappeasable love as celebrated by the troubadours of medieval Provence. These early poets, according to de Rougemont, spoke the words of an Eros-centered theology, and it was through this “heresy” that a European vocabulary of mysticism flourished and that Western literature took on a new direction. Cross the threshold and journey into the world of the High Middle Ages (1100-1300), to further explore twelve of the most-frequently-requested medieval topics today. From Chaucer’s Canterbury Tales, Hugo’s The Hunchback of Notre Dame, Umberto Eco’s Name of the Rose to the delights of Monty Python, the medieval period – pagan, Christian, and otherwise – continues to intrigue, inspire and fascinate many today. But what were some of the unexpected developments, interesting people, and key events of this epic time? 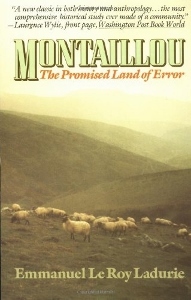 Le Roy Ladurie’s Montaillou, which as received even more praise than his earlier works, follows in the tradition of the Annales school of French histiography, a tradition which also includes Fernand Braudel’s widely acclaimed study of the Mediterranean. 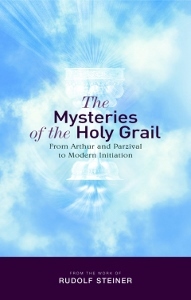 Basing his presentations on far-reaching spiritual research, Rudolf Steiner gave profoundly esoteric, multifaceted insights into the mysteries of the Holy Grail. 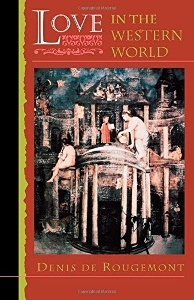 Collected together for the first time in a single volume, together with commentary and notes, these passages offer vivid tableaux with a multiplicity of meanings: a story that speaks to the human soul with a depth and complexity that intellectual interpretations alone cannot begin to fathom. Just as Parzival had to encounter and engage with veils of illusion and valleys of shadow and doubt, Rudolf Steiner presents us with a similarly challenging path. This book is more than a treasure of thought and insight: it invites us to embark on a personal quest to develop the abilities and vision required for grasping the elusive Grail itself. Among the most intricate historical and religious mysteries of medieval Europe are those posed by the “Great Heresy” – the sudden rise and spread of medieval dualism, the belief that cosmos and man are constant battlegrounds between the forces of good and evil and their supernatural protagonists. 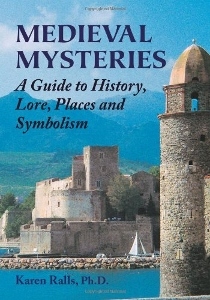 This book offers a comprehensive history of religious dualism, from its early expressions in late Egyptian religion and the revelations of Zoroaster through the Dead Sea Scrolls, the Mithraic Mysteries, and the Great Gnostic teachers to its revival in medieval Europe and the suppression of the Bogomils and Cathars who were seen as heirs to that ancient rival of Christianity, Manichaeism. Exploring crucial stages in the history of Christian dualist heresy, Yuri Stoyanov illuminates a variety of religious and political undercurrents that lie beneath the surface of recorded history.